Church leaders in India have joined the chorus of protest against the BJP-led government, known for espousing a Hindu nationalist agenda, hurrying through an “anti-conversion law” in the eastern state of Jharkhand. The Freedom of Religion Bill, which was introduced and passed on the same day (12 August) in the Jharkhand Assembly, seems harmless in name but in reality prevents people from having the freedom to choose to change their religion. Under the new law, offenders – those deemed to have “forced” another person to change their religion – could face three years’ imprisonment and fines of Rs 50,000 (US $800), or four years’ imprisonment and a Rs 100,000 fine if the person converted is a minor, a woman or a member of the less educated classes, such as Dalits. “This is their style. They don’t want any debate. They just do what they want,” Cardinal Telesphore Toppo, the Archbishop of Ranchi (Jharkhand’s capital), told World Watch Monitor. “I don’t think it is the desire of one man [the Chief Minister]. There is an ideology behind it. Wherever they [the BJP] are in power, they are doing it. 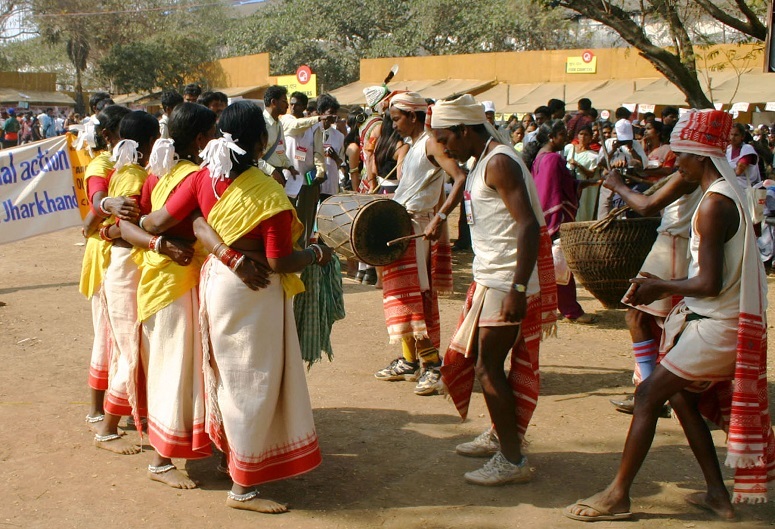 Tribal Christians dancing in traditional attire at a church convention in Ranchi, the capital of Jharkhand state, in 2004. 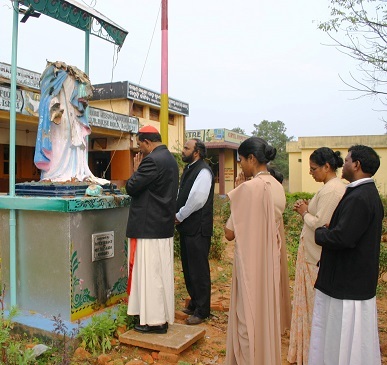 Cardinal Toppo, himself a tribal, heads the Catholic Church in Jharkhand, where Christians account for less than five per cent of the state’s 32 million people. During the hurried discussion on the bill in the Jharkhand Assembly on 12 August, Stephen Marandi, senior legislator of the opposition Jharkhand Mukti Morcha (JMM), challenged the need for such a legislation, summing up the concern of the Christians, Muslims and secular parties over legislation that could be misused against minorities, as has been the case in other states. “The Constitution gives freedom to practise and profess one’s religion. There are already penal provisions … for those indulging in coercive conversion or using allurement. So what is the need for a separate bill?” Marandi asked, demanding that the bill to be referred to a select committee. 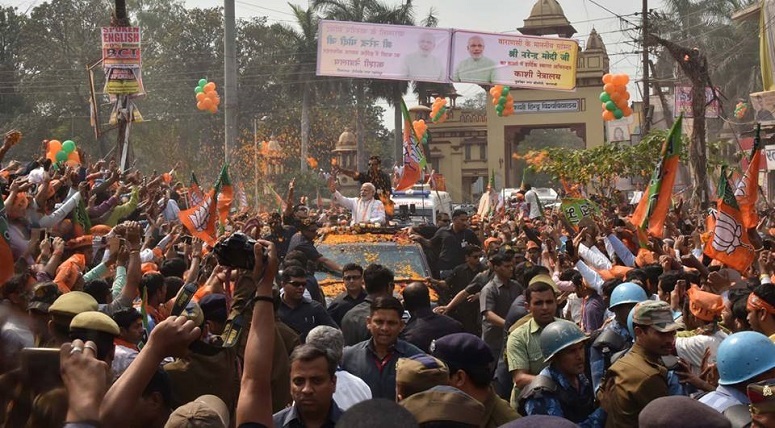 However, the ruling BJP-led government instead put the bill to vote, which was quickly passed as the BJP enjoys a clear majority in Jharkhand’s state legislature. Shibu Thomas, founder and director of the charity Persecution Relief, told World Watch Monitor that the “hurry” with which the Hindu nationalists passed the legislation proves that “they do not care for minorities”. “The agenda behind the legislation is to polarise people on religious lines and consolidate the [majority] Hindu voters. They want to fool the Hindus to believe that their religion is under threat due to conversions,” said Thomas, whose organisation has set up an online petition to campaign against “anti-conversion laws” in India. Thomas added that one former member of the Indian Parliament, Bahadur Oraon, who is also a tribal, said he is willing to convert to Christianity if only to protest against the legislation. Thomas also criticised what he called the BJP’s “shocking misuse” of the name of the Father of the Nation, Mahatma Gandhi. Two days before the bill was introduced in the Assembly, the Jharkhand government took out a controversial front-page advertisement in some of the major newspapers, in the name of the BJP chief minister Raghubar Das, with a purported quote from Gandhi insinuating that missionaries were engaging in fraudulent conversions by doling out rice (“goodies”) to the “gullible” poor. “Many are even questioning the source of this quote, attributed to Mahatma Gandhi,” said Thomas. The Scroll website – one of the leading Indian news portals – in its post on 16 August described Jharkhand’s anti-conversion bill as a “body blow to freedom of religion in India”. “The Bharatiya Janata Party’s attempts at policing religious belief will push the country into a dark age,” cautioned the article. Thomas also accused India’s Prime Minister, Narendra Modi, of engaging in “mere rhetoric” when he called on Indians on Independence Day (15 August) to “shun violence in the name of faith“, saying it was “harmful for the social fabric”. But Thomas said: “While Modi’s intentions may be sincere, he is just a pawn and a small entity in the larger scope of things… He has used the same hyperbole in earlier addresses. However, India and the world over are beginning to see that his talk does not match his walk. Simultaneously, the National Council of Churches in India in an “open letter” to the Prime Minister on Independence Day expressed its anguish that “we keep on hearing statements which stereotype Christians as being aliens or as being people whose patriotism is questioned”.